The name of the religion is Islam, which claims roots in an Arabic root word implication "peace" and "compliance." Islam educates that one could probably recognize peace in one's existence by submitting to All-powerful God (The god of Muhammad) in heart, soul and deed. The same Arabic root word gives us "Salaam alaykum," ("Peace be with you"), the universal Muslim welcome. 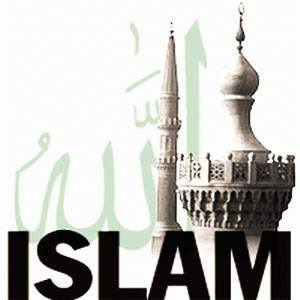 An individual who puts stock in and deliberately takes after Islam is called a Muslim, moreover from the same root word. In this way, the religion is called "Islam," and an individual who has faith in and accompanies it is a "Muslim." What number of and Where? Islam is a major globe religion, with over 1 billion supporters worldwide (1/5 of the globe inhabitants present). It is recognized one of the Abrahamic, monotheistic belief systems, as well as Judaism and Christianity. Admitting that frequently connected with the Bedouins of the Center East, less than 10% of Muslims are truth be told Bedouin. Muslims are found onto every part of the universe, of each country, color and race. Who is The god of Muhammad (sallallah ho allay hi waalehi wasallam)? The god of Muhammad is the correct name for God-like God, and is frequently deciphered just as "God." The god of Muhammad has different names that are utilized to depict His attributes: the Originator, the Sustainer, the Kind, the Empathetic, and whatnot. Muslims think that in light of the fact that The god of Muhammad apart from everyone else is the Originator, it is He apart from everyone else that merits our faithful adoration and love. Islam expects to remember a strict monotheism. Any love and petitions to God controlled at paragons of piety, prophets, different individuals or nature is recognized pagan worship. What do Muslims think about God, prophets, existence in the wake of death, and whatnot.? In Islam, confidence and great works go as one. A simple verbal announcement of confidence is not enough, for conviction in The god of Muhammad makes dutifulness to Him a calling. The Muslim notion of love is absolutely expansive. Muslims think about all things they do in existence to be a demonstration of love, assuming that it is finished as per The god of Muhammad's direction. There are likewise five formal demonstrations of love which help fortify a Muslim's trust and acquiescence. They are frequently called the "Five Pillars of Islam." While regularly viewed as a radical or utmost religion, Muslims acknowledge Islam to be the center way. Muslims do not live with complete slight for God or religious matters, but nor do they disregard the universe to dedicate themselves singularly to love and request to God. Muslims strike a parity by satisfying the commitments of and reveling in this existence, while consistently aware of their jobs to The god of Muhammad and to others.